How can you guard warehouse inventory against employee theft? In fact, security is impossible when people who should not be in an area have easy access to it. In a warehouse environment, that’s sometimes difficult due to the fact that so many order pickers, forklift drivers, management personnel, visitors and others need access at various times. But you can control it at least to some degree. Above: using gates to control access to a guarded area. Is it valuable, desirable or potentially something people can easily sell? Is it transportable? Is it so large that taking it becomes difficult? Can it be easily concealed and transported? Can you segment it from stock that’s not a target? A good example of valued, concealable, desirable inventory is tobacco products in a grocery distribution center. Cigarettes are small, easy to hide, and easy to move. They are a high-priority target for that reason, so they should be secured differently than, say, bags of dog food or cases of paper towels. People who are inclined to steal may target dog food and tissues, but their opportunities to do so are limited by the size of the items and the relatively low cost per ounce. Grocery distribution companies typically segment tobacco and guard access to it for that reason. Store it in upper bay storage rack slots: This is effective particularly for bulk storage of smaller items. Don’t store pallets on the ground so that anyone walking near can cut a case open. Bulk storage should be in high bay positions where a forklift or order picker is needed to access them. This creates a barrier because it uses location to reduce access. 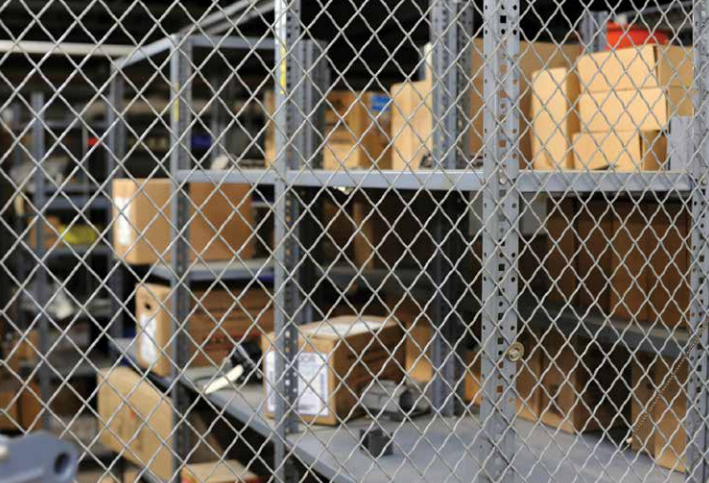 Store valuable inventory or tools in security cages: Lockable security cages are relatively inexpensive and can be built to work in most any space. 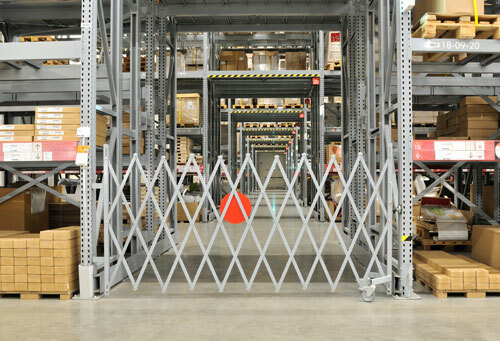 Rows of shelving or racks can be segmented away into secure areas, where only authorized personnel can travel. You can even designate card reader locks and other measures that help you identify who was in or out of the secure areas. Make your rack secure: If your storage area is such that you cannot create a freestanding cage, you can also build in security to racks by using rack cages. Almost any teardrop style pallet rack can be made secure if it contains high-value inventory. Utilize modular storage: If your inventory is typically stored in shelving or racks, you can add lockable modular storage drawers to segment particularly valuable items. Many times, these systems are used to segment smaller, more valuable components from bin storage areas. 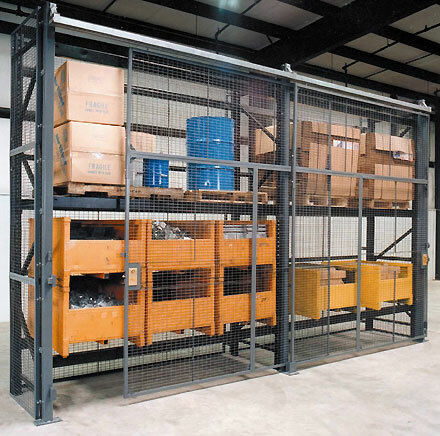 Use smaller cages: There are many types of security lockers and small cages (some on wheels) that can be locked to protect inventory. Consider automation: Some automated systems, like industrial carousels or vertical lift modules, enhance security because product is controlled through the carousel, and difficult to access without authorization. Track worker traffic: Coded ID badges can be required to enter your secure areas, giving you intelligence on who has access to the controlled area. Lay out storage zones for access control: You can restrict zones by laying them out so they aren’t in main traffic ways and have limited egress points. If you have a higher value area, don’t place it in the center of your warehouse where everyone has access. Check out our warehouse loss prevention white paper for more information.